In the early hours of January 23rd 1973 the volcano, Eldfell, erupted on Heimaey and nearly the whole population of 5,300 had to immediately be evacuated to the mainland. That fateful night and following days are chronicled in an array of photos. There are also recordings of islanders telling their personal experiences of the eruption and the rebuilding of their town in the aftermath. The annual Vestmannaeyjar Festival was first held in 1874 and nearly every year since. It hasalways been an important cultural gathering of islanders with all its traditions including the indispensable music of the island composer, Oddgeir Kristjánsson. 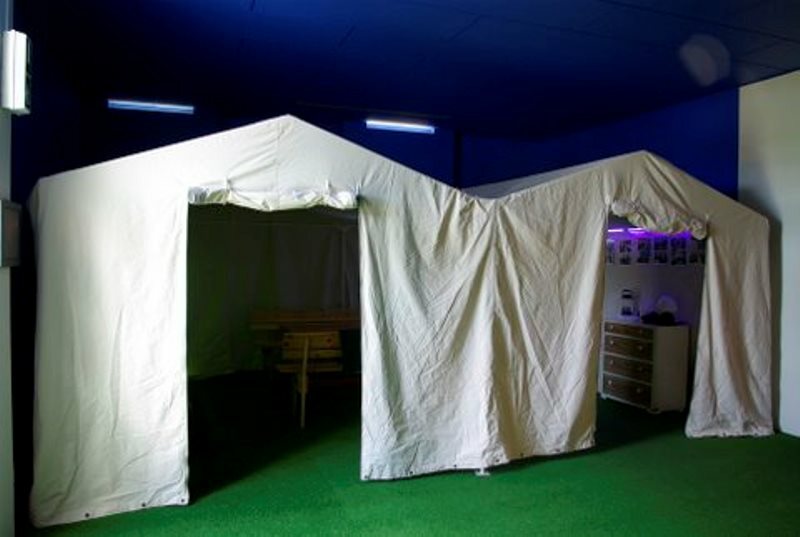 Visitors to the museum can seat themselves in one of the traditional Festival tents that are erected each year by the islanders for this special weekend. On July 16th 1627 three ships sailed up to the eastern shores of Heimaey. Threehundred pirates disembarked and captured 242 of the islanders whom they sailed with to Algeria where they were sold at the slave markets. 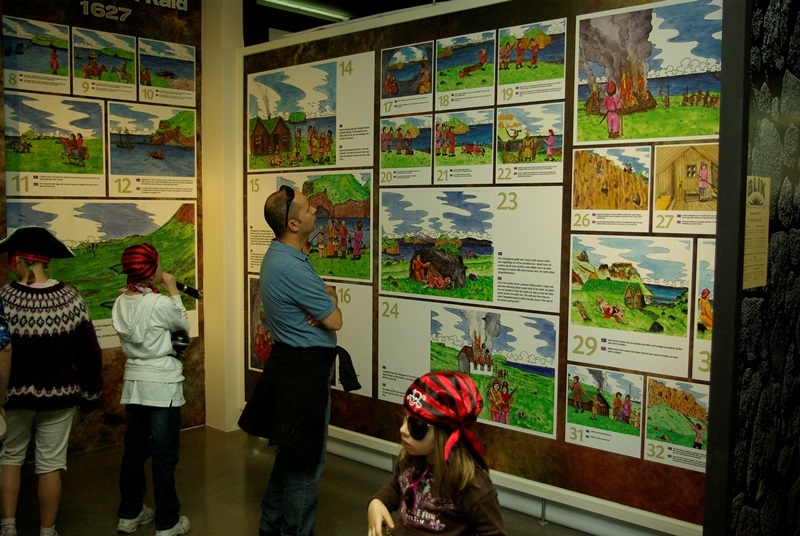 The story of this fateful day is captured in a large caricature-style mural of sequential panels. The pirate cave provides fun for the children. Seldom is the importance of a woman’s station felt as strongly as in a fishing port. Womenoftenhold sole responsibility for their homes and the welfare of their families for varying periods of time, short and long. Light is shed on the lives of a few of these women as well as their contributions in medicine, hand crafting, and art. 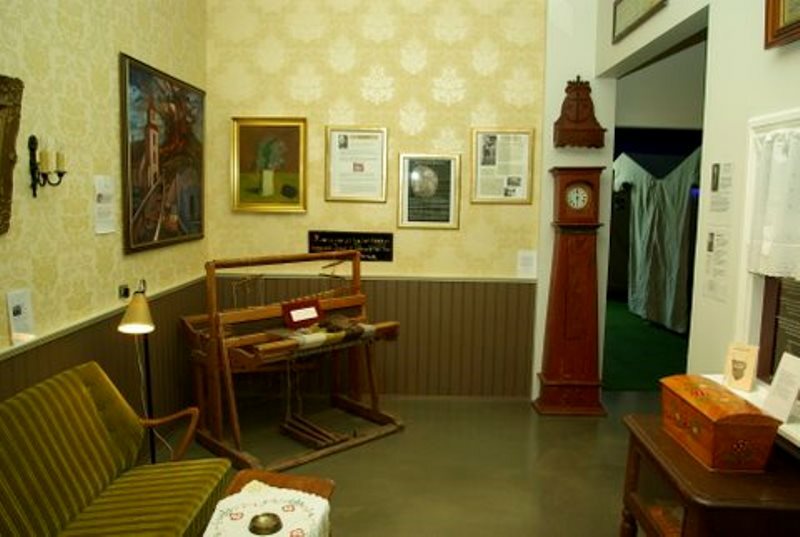 The Mormons also have their historical story exhibited at the museum. The first Icelandic Mormon missionaries, Þórarinn Hafliðason from Vestmannaeyjar and Guðmundur Guðmundsson from Rangárvellir on the south coast, worked in Vestmannaeyjar. Between 1854 and 1914 about 200 islanders emigrated from the island to the Western World in search of a better home. The Mormon exhibit is in collaboration with Brigham Young University in Utah along with a large group of enthusiasts who have researched the history and destiny of these pioneers. Sports have always played a very large part in island life and it is often said that the soul of the island keeps time with the ups and downs of the local sports team, ÍBV. The sports exhibit is, in part, displayed within the temporary exhibits area so the display depends upon what else is being presented at the time. The islanders are the only people in the country who can boast about the fact that they had their own army. The origin of this story lies with the Danish ombudsman, Captain Kohl, who came to the island in 1853. Captain Kohl was a determined and eager leader who took an active part in all of the soldiers’ lives and responsibilities, sobriety, and traditions. He taught them sports and good manners, built houses and roads. One could say that he was the initiator of the annual Festival. He held Flag Day in the Herjólfsdalur valley where the Festival is now annually celebrated. Families gathered there to compete in sports and eat picnic lunches. Captain Kohl was much loved and respected. 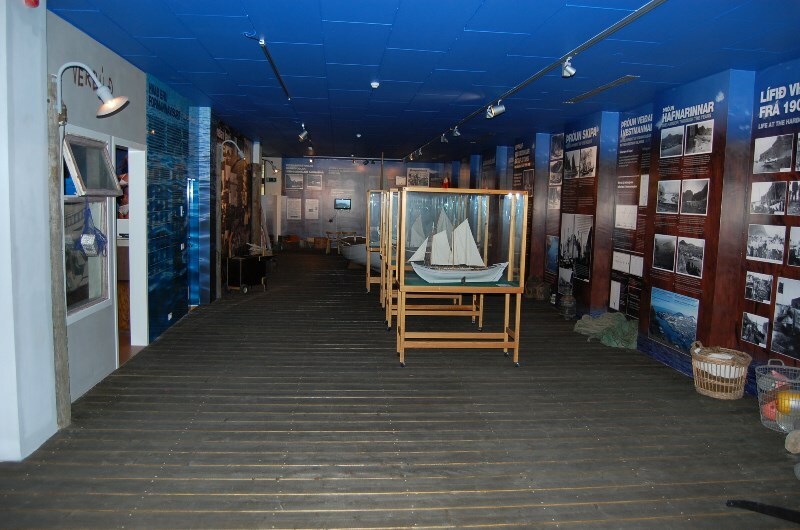 A large part of the exhibit hall contains the harbor and dock area where fishing andprocessing the catches of the islanders are portrayed. At the old radio center a visitor can listen to harrowing narratives of life at sea and unbelievable tales of heroism and rescues. The stories of innovators and entrepreneurs are told through the history of building the harbor, ship building, and processing the huge fish catches. An old bait shack and fish factory dormitory are also reconstructed in this exhibit. “Captain’s verses”, common poetry at old fishing stations, is recited and sung and the island composer, Ási í Bæ, is recorded singing one of his most famous melodies. The cliff hunters’ history and lore are also reflected in this exhibit area with a reconstructed hunting cabin typical of the cabins on the outer islands.